Al Cavalli is senior consultant for Carter Research, a strategic advisory and operations consulting firm to the education industry. In addition to his work with us, Al provides education, operations, financial consulting and CEO mentoring for Scholars’ Promise International and the Metropolitan Classical Charter School. Al is an experienced education and healthcare professional who has been President of the Independence Mission Schools, an independent organization that oversees the operations of 16 Catholic elementary schools, CEO of the Lehigh Valley Academy Regional Charter School, CEO/President of the Shawnee Academy and the Beacon School a residential and day school program and the Vice President of Operations for Wordsworth Human Services. 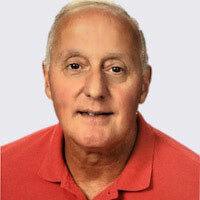 Al received a bachelor degree from St. Joseph’s University in Philadelphia in accounting and a Masters of Science in Administration from West Chester University. He has four children: Aldo, Christopher, Rita, and Maria and is married to Rita Fitzpatrick.